"If [the Lakers] trade my son, it will be the worst thing you ever did", he said on FOX Sports' Skip and Shannon: Undisputed. A lot has been made about how the ongoing trade rumors have affected the Lakers' locker room, so it's nice to see that Ball has kept his sense of humor in the process. This week, the Lakers have reportedly discussed a trade package with the Pelicans for star Anthony Davis and reportedly offered to include Lonzo, Kyle Kuzma, Brandon Ingram, Josh Hart, Ivica Zubac and Kentavious Caldwell-Pope in the deal. "I guarantee that if they trade my son they will never get a championship". The trade deadline is just hours away, and perhaps this latest drama surrounding the Ball family could influence the front office to move its first-round pick from 2017. "Yes", came the reply. Zo was expected to miss 4-6 weeks with the nasty-looking ankle injury so he still has at least a couple weeks of recovery ahead of him before returning to the floor. 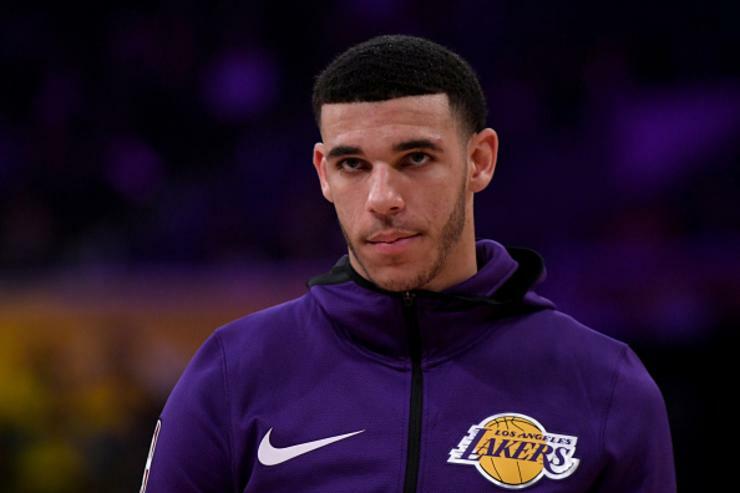 According to LaVar, he believes the four-time MVP is getting old and wouldn't be able to guard Lonzo in one-on-one situations. "I'll make (Lonzo) better than LeBron if I'm coaching him, because I'm going to let him loose", Ball said. Nope, the young Lakers aren't. "They're all going to struggle if Lonzo's not there".